The Kuvings Silent Black Juicer is the juicer that will meet all your juicing needs. This juicer can handle pretty much anything you put into it from carrots to wheatgrass. It was designed to insure that it's the last juicer that you will ever need. 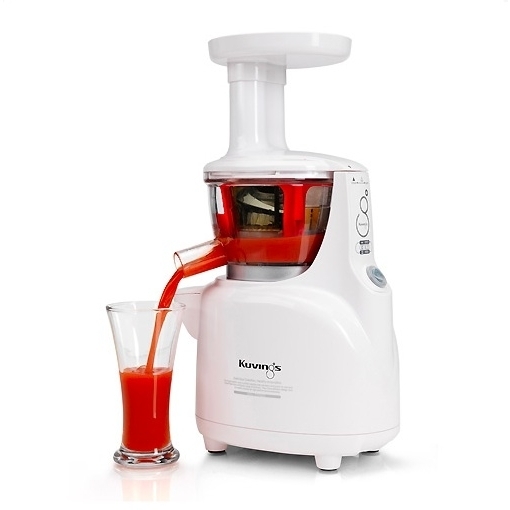 Its patented extraction technology takes advantage of its low speed to press and extract rather than grind and chew like other juicers do, retaining all the nutrients and enzymes in your juices. 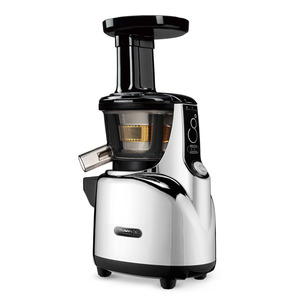 The Kuvings Silent Juicer NS-850 is the first ever upright juicer to offer all BPA-Free juicing components, including the juice and pulp cups. No other upright juicer offers this feature. Operating at 40-50db, this is by far the quietest juicer currently available! 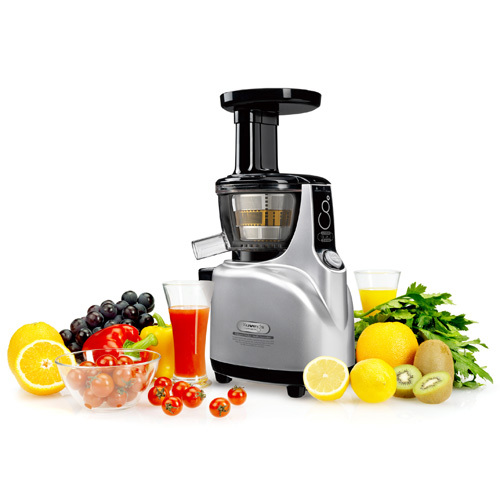 Kuvings is so confident in this juicer that it is backed with a 10 year warranty. 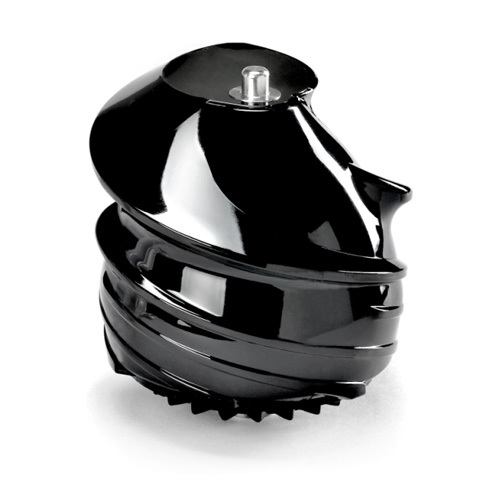 Patented technology- JMCS (Juicer Module Comprising System) Juicing Screw. Includes Handle- For portability and easy maneuverability on your counter top. 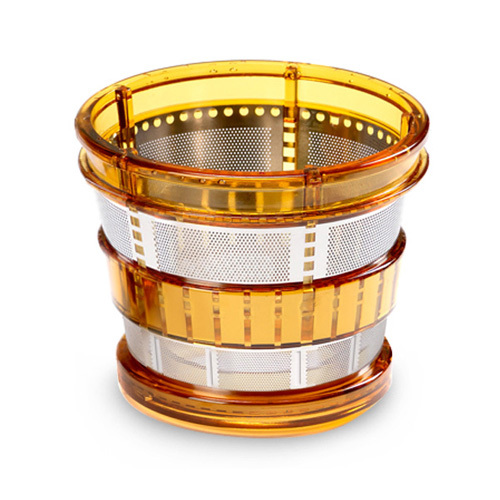 Silent Operation- The Silent Juicer operates at 40-50 dB compared to the typical 80-95 dB of most high speed juicers. For comparison, a normal conversation is 60 dB, and a lawnmower is 90 dB. Any sound over 85 dB can cause hearing loss.